BEN Simmons sizzled as the 76ers turned the tables on Houston to record their third win of the season on Tuesday (AEDT). The Australian recorded a new career-high with 24 points, leading his team to a 115-107 win over the Rockets on the road. Simmons caught fire from the field in the first half. With his jump shot on full display, the 21-year-old landed three buckets from more than 15-feet. 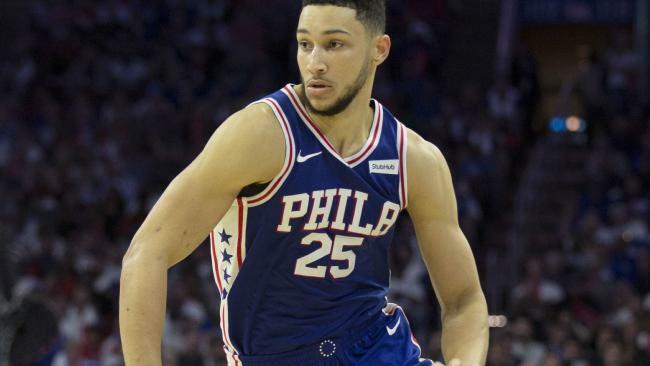 As impressive as his jump shot looked, Simmons also showed he has a lot of growth still in him in his rookie season, blowing a chance to reach the 30-point mark for the first time in his career. Simmons jump shot appears to be improving, but his struggles from the foul-line continued against the Rockets, where he slotted just four from nine. He converted just once from four attempts in the final two minutes when the Rockets were still a chance of pulling off a late comeback. Despite his troubles from the charity stripe, another super impressive stat-line - in just his seventh NBA game - has seen Simmons hyped for a potential All Star game appearance this season. 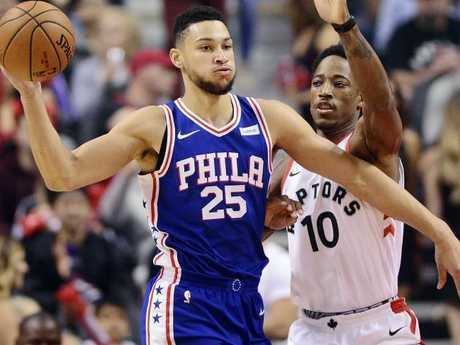 He finished with 24 points, seven rebounds and nine assists, while towering teammate Joel Embiid finished with 22 points, nine rebounds and five assists. Simmons was humble after the game in sharing the plaudits for the team's revenge over Houston. "I think we did a much better job (on the defensive end)," Simmons said after the game. "Even in an away game. In their home. It's tough. But we got it done." He said his one-two punch with Embiid is going to improve as the season progresses. "I love playing with him. 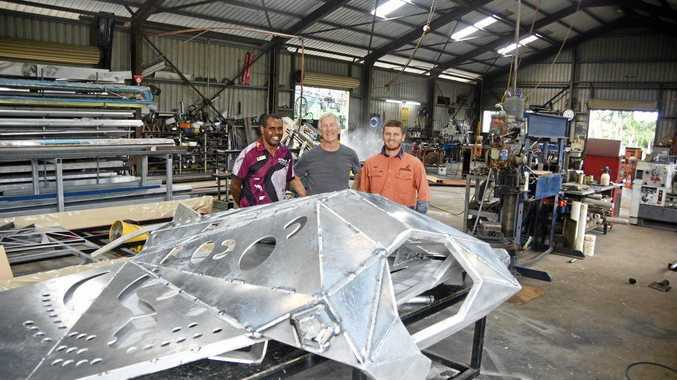 It's so much fun," Simmons said. "He makes the game easier for me. He's a great team player. He's the type of player you want to play with, and I just love playing with him. The chemistry is just gonna get better." The NBA continues to be baffled by his dramatic rise. Simmons would be the first rookie since Blake Griffin in 2011 to be selected in the annual All Star game and just the second rookie since Yao Ming in 2003 to be handed the honour of playing in the superstar showdown. It was announced at the start of this month the annual NBA All Star game will be dramatically revamped in 2018 with the traditional Eastern Conference vs Western Conference concept scrapped. The game will instead feature a captain from each conference who will have the ability to select their teammates in a draft-styled selection face-off. Get out of his way. 12 players from each conference will be selected into the draft through votes from the public, media and NBA players before the two team captain's select their squads. Steph Curry and LeBron James are expected to win the fan vote and be named the inaugural team captains. James' selection would drastically improve Simmons' hopes of getting called up to the All Star game. It's no secret James has taken the Sixers' point guard under his wing. Simmons all but iced the game for the Sixers when he drove coast to coast with a thundering dunk to put Philadelphia back up by five points with less than two minutes remaining after the Rockets had closed to within one point. The dunk silenced the local Houston crowd. Simmons' impressive first half shooting was his most convincing display from outside the paint yet. More than anything else he showed in the win over the Rockets, the threat that Simmons has learned how to shoot consistently from range should terrify his NBA opposition. Even before the game in Houston, Simmons' recent performances were enough for him to earn high praise from future Boomers teammate Andrew Bogut. Bogut told SEN Breakfast Simmons' ability to find his feet in the NBA so quickly is "phenomenal". It comes after the Australian scored a career high 23 points as the 76ers survived a late Dallas charge to prevail 112-110 on Sunday (AEDT). The 21-year-old added seven rebounds and eight assists in a performance highlighted by a right-handed put-back jam in the fourth quarter as the Sixers won on the road to improve their season record to 2-4. Embiid, who had 23 points and nine rebounds himself, was lavish in praise of his teammate. "There's still a lot of stuff we need to work on, but he doesn't look like a rookie out there - he's just playing basketball," Embiid said of Simmons. "He looks like a vet out there. He's just doing whatever he wants to." Coach Brett Brown said Simmons was his side's everywhere man. "Look at Ben Simmons' numbers... how he impacts a game, all over the place," said Brown. "Tonight, he was a four-man, a three-man, a point guard. He switched out on effectively everybody, and just beats up on a stat sheet like we see, that's a hell of a game."